Your input is important to us. 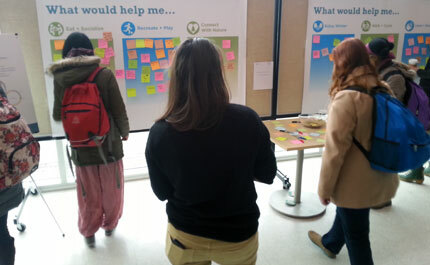 That is why we employ a variety of public consultation and engagement activities through our planning processes and activities, giving you the opportunity to learn more about new plans or proposed changes, to be heard, and to help shape our campus community in the Okanagan. Our engagement processes vary in their level of public involvement, ranging from simple notification to consultation through to collaboration. The types of engagement we use vary from project to project and are determined by the mandate, impact and scope of interests for each project. 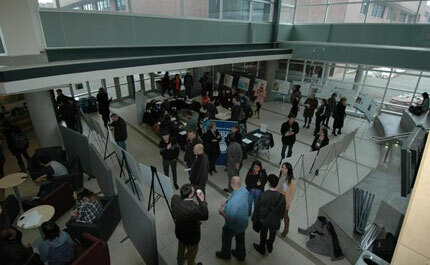 For significant planning and development projects on campus, it is expected that we will inform and consult with the UBC community, including student government, faculty leadership, and our off-campus neighbours, as appropriate, using such methods as our website, email, advertisements, information sessions, open houses, online feedback and ideas fairs. For some projects, leadership groups and community representatives may also participate more closely through collaboration or joint problem solving, such as a workshop, design charrette or advisory committee, where appropriate. As part of UBC’s commitment to engaging with the community, the UBC Board of Governors has adopted ten engagement principles to enable constructive dialogue with our campus community. Based on these principles, Campus Planning & Development (CPD) will engage in an open conversation with the campus community, the public and university stakeholders about planning and development on the Okanagan campus. 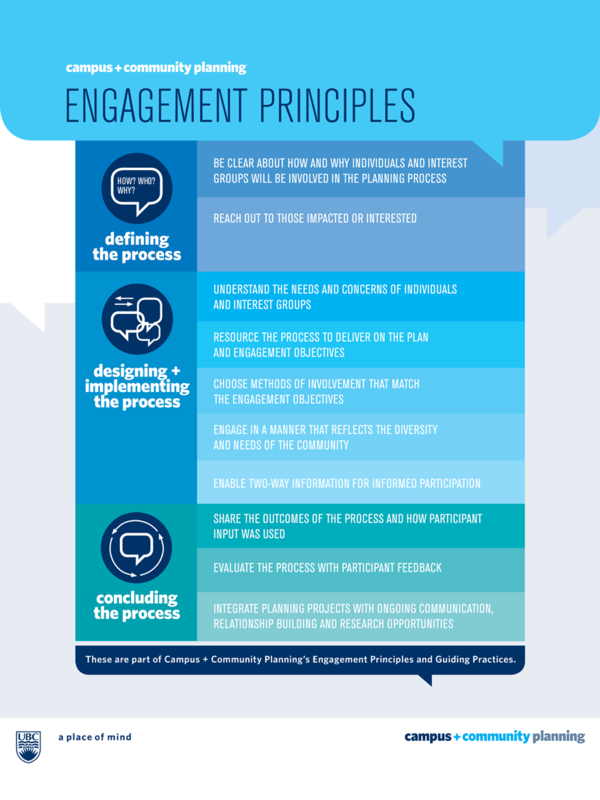 These principles create a clarity and transparency to how we define, design, implement and conclude public engagement in our land use and community planning processes. Each principle has a set of guiding practices that illustrate how the principles will be applied. Our engagement practices will continually be updated to reflect emerging needs and innovation in methods. This section is for active planning programs being undertaken by Campus Planning & Development for the Okanagan Campus. This section is for development project applications at the Okanagan Campus that are still being processed and for which construction has not yet begun. This section is for completed planning programs and development projects at the Okanagan Campus.